Liverpool's record against fellow members of the Premier League's top six this season gives James Milner belief that the Reds can compete in next term's Champions League. Sunday’s 3-0 win over Middlesbrough secured a fourth-place finish in the English top fight for the Reds, who must negotiate a two-legged play-off tie in August if they are to feature in the group phase of Europe’s premier club competition. League meetings with Chelsea, Tottenham Hotspur, Arsenal and the Manchester clubs in 2016-17 yielded five wins and five draws for Jürgen Klopp’s team. And that experience, Milner feels, will stand Liverpool in good stead on the Champions League stage. “If you look how strong the Premier League is, all top sides, and we’ve shown on our day we can beat anyone,” the vice-captain said. “We just need to keep improving and adapt to any side, the ‘bigger’ teams or so-called lesser sides. 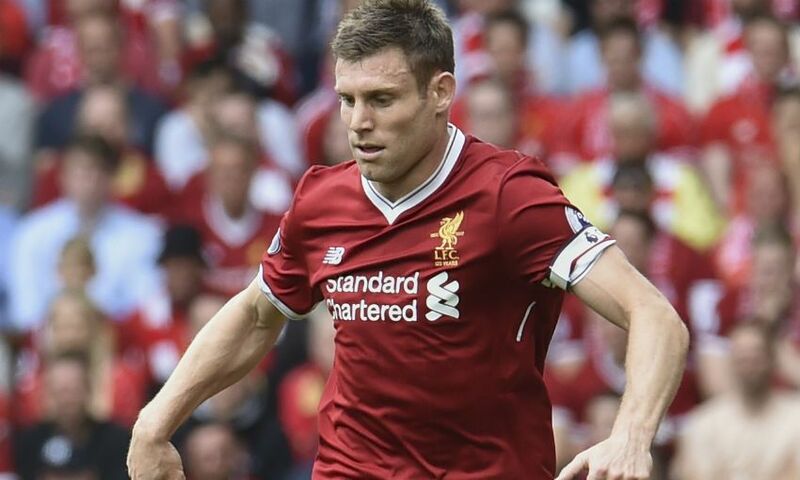 Milner also sees the prospect of playing in the Champions League as an opportunity to help the development of Klopp’s largely-youthful squad. “Obviously the bigger the games you play and the bigger the competitions, the more we are going to improve as a team. It’s about putting yourselves in those situations,” the No.7 added. “This season we have improved. Last year there was good and bad. Most of the games this year, even though we have lost points, we have dominated games. Last year we were more Jekyll and Hyde - we could be brilliant one week and terrible the next. “This year we have dominated possession and made steps forward, winning at tough places like West Brom and Stoke. That is another side to our squad. “It’s a young squad if you look at it. The average age is second youngest in the Premier League, which is another positive - although maybe not for me because it makes me feel a lot older. “The longer we are together it is better and I am sure there will be more new faces in the summer, but it’s the manager’s first full season, the ground was changing, there are plans for a new training ground. It’s exciting times for the football club and that is something I wanted to part of when I came here.